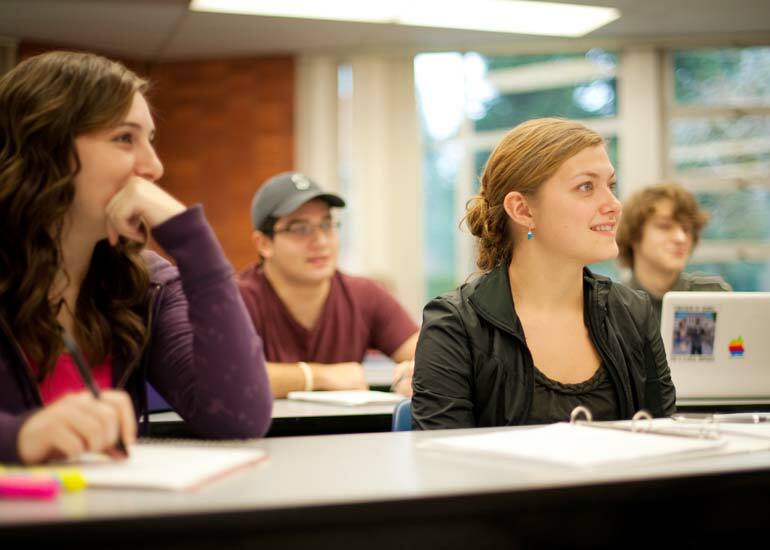 George Fox University’s bachelor of arts degree in organizational communication is the ideal fit for someone interested in the fields of public relations, sales, consulting, promotions, fund-raising or customer service. As an organizational communication major, you will take communication courses that are particularly useful in organizational settings. These are combined with business and marketing or management classes, giving you a balanced education that will prepare you for any number of career choices. We take an interdisciplinary approach to communication. Majors take a series of communication and writing courses – all grounded in a common core of communication and rhetorical theory. Upon graduation, students are prepared to work in careers ranging from marketing, public relations, sales, consulting, training, event coordination, journalism, editing, politics and teaching. Request more information about the organizational communication major at George Fox University or schedule a visit to begin your education at Oregon's Christian university, ranked as one of the top Christian colleges in the nation by Forbes. A competitive market, the external organizational communication track (public relations, marketing, etc.) is expected to continue to grow at a steady employment rate over the next five years. For college graduates hopeful for a job in the field, skills in new technology and ideas, as well as creativity, are highly sought by prospective employers. "I have my degree to thank for the strong foundation that allowed me to launch head-first into the nitty-gritty world of strategic communication and public relations. The breadth of material that was covered in the classroom as well as the insights and experiences from my professors have shaped me into the young woman and young professional I am today."